The Eritrean revolution was odd in this sense: neither the peasants nor the intellectuals fared well in it. Those with little knowledge were rather the ones who were “well equipped” to survive it. Those with no formal education at all and those with “too much” of it were the ones who were despised and, hence, perished in disproportionate numbers. It was a strange kind of anti-intellectualism in that it wanted to remain relevant in the modern world by hanging on to the barest minimum that modernity could offer. Thus, put in epistemic terms, the tragedy of Eritrea can be described as: the unintended consequences of a desperate search for this “barest minimum”. The revolution was driven both by “ideological” and “pragmatic” reasons for this kind of odd anti-intellectualism to emerge. The ghedli (revolution) generation was both fascinated and repelled by modernity. Although attracted by the knick knacks modernity offered, they abhorred the uncertainty it brought along into their lives. The knick knacks without the uncertainty were all they wanted, and their whole view of modernity – their “modern ideology” – was based on that “essential” subtraction. Consequently, the intellectuals who brought the uncertainty by emphasizing its self-liberating and cosmopolitan aspects were abhorred. So were the peasants, who reminded them of a world bereft of the knick knacks. Thus, the kind of knowledge this generation aspired to gain whittled down to manageable modern knowledge – hence their “pragmatism”. Hardly did they realize that, doubly qualified as such, knowledge loses its epistemic task. With this oxymoronic aspiration as its defining characteristic, a strange urban breed came to dominate the Eritrean revolutionary scene: an incredibly incurious generation. The paradox was that, in search of “manageable knowledge” tailor-made to fit their narrow and impoverished world, the ghedli generation created a world where almost any other body of knowledge, be it of the traditional or modern type, was identified as threatening to that insular world of theirs: culture, tradition, religion, precedence, history, rule of law and most of the knowledge that the Western civilization offered. The result of decades long of unlearning within the confines of the revolutionary movements was that a strange kind of “body of knowledge” emerged: temekro mieda (experiences of the field). The totality of the anti-intellectualism of Shaebia (EPLF) could be squeezed into this negative experience. Nowadays Shaebia’s anti-intellectualism is to be witnessed in everything it does: in its deeply seated hatred for the civilian or “ghebar” (anyone but with temekero mieda as his/her “work resume”), and whatever he/she could offer in his/her capacity; in its utter contempt for age-old institutions of the land, such as religions and highi enda’ba; in its dismissive disregard for the shimagle (elders), a fixture in the Eritrean cultural landscape embodying wisdom as old as the land itself; in its legendary disdain for professionals and professionalism of all sorts, as has been repeatedly exhibited soon after independence; in the emptying of the cities and towns across Eritrea of their young, especially the students, to be cordoned off in the wilderness for years on end in an Orwellian experimentation to mold them in the image of teghadalay (the freedom fighter); in the modern day slavery known as Warsai-Yikealo Campaign, with Sisyphean tasks primarily meant to preoccupy and tame the youth; in the closing down of the only university in the country, with the creation of “peasantified intellectuals” as its major goal; in the quarantining of all 12th grade high school students in a single military camp known as Sawa, with indoctrination and control of the young generation primarily in its mind; in the thorough militarization of the educational system, with illiterate colonels administrating make-shift colleges; in the endless national service, for many lasting more than a decade, a perfect environment to unlearn everything and anything of worth; in its abhorrence for any kind of Western institutions – educational, economic, humanitarian, social, cultural, political, etc. In each of these negative endeavors, the thread of deep-seated anti-intellectualism that motivates and sustains it is easily discernable. For an organization that wants to regulate and control all aspects of its subjects’ lives, this kind of ever-prevalent anti-intellectualism that doesn’t leave anything to chance is found necessary. Below, I will argue that temekro mieda is at the root of the deeply entrenched and rampant anti-intellectualism prevalent in all aspects of life in Eritrea, with the “peasantification” of the nation as its primary goal. First though, we need to have a working definition of “peasantification” and “temekro mieda”, and try to identify the limited world of the liberators’ making wherein these two negative concepts gain currency. When the “liberators” triumphantly entered Asmara in 1991, the primary task that they took upon themselves was how to mold the greater society in their image. Having absolutely no idea what ideals they had been fighting for, all they could think of was to replicate their mieda experience in independent Eritrea. They thought that if they could only come up with a brand new identity made in their image that every Eritrean would be made to adopt, the Eritrean dream for which tens of thousands had perished would be achieved. They honestly believed that the Eritrean independence was all about identity; and if so, what better identity can they come up with than the one they had acquired in 30 years of struggle through temekro mieda! For this grand cloning project, the liberators had nothing tangible in their hands except whatever they had experienced in the field as guerrilla fighters. Hard as they tried, they couldn’t come up with any particular guidelines from that experience that they could teach others, let alone a whole ideological edifice upon which to build a nation’s identity. Their culture of martyrdom, entirely based on self-negation, had nothing to offer in a postmodern era defined by affirmation. Yet, astoundingly, they believed that temekro mieda was enough of an experience upon which to build an entirely new way of living from scratch. Lacking any body of knowledge on how this would go, they thought that the only sure way to teach temekro mieda was to bring back the mieda into each citizen’s life! Thus, they fantastically decided for every subject to pass through that revolutionary experience. The idea of Sawa, Warsai-Yikealo Campaign and indefinite National Service derived from this bizarre idea. Having recreated the mieda environment to its minutest details in today’s Eritrea after the self-induced border war, they are now relieved to see that their life-negating “values” have finally gained some currency on the ground: self-sacrifice, martyrdom, self-reliance, perseverance, etc. From Asmara to Sahel, then back to Asmara; this circular journey that the ghedli generation undertook is a history of self-replication, an endeavor that was totally mindless in its effort. As in any kind of biological replication, the intellect had nothing to do in its making. Like Narcissus, wherever they camped, they looked around for their image to emerge; no wonder they thought that the fruit of the revolution was actually them, or whatever they had evolved into. It didn’t take long for the ghedli generation, who had gone all the way to Sahel in search of their “Asmara”, to diligently search for their “Sahel” when they came back to Asmara; all without ever recognizing the empty space within that had allowed such a total displacement to take place. From such an experience, it is easy to see where the urge to destroy a whole culture comes from: to find a space for “Sahel” in each and every one of us! The border war was the “divine intervention” they were seeking for; a timely response to their desperate call. Now, with the indefinite national service, they could make a whole generation pass through Sahel experience, thereby displacing whatever normal experience the young generation have brought with them from their families and the larger society. Hardly did the liberators realize that their vision of the new Eritrea, one that could only be recreated in the abnormal climate of war, was a horror world bereft of all civilizing or humanizing aspects. Their impoverished urban and Sahel roots had left them deprived of those life-affirming aspects that drive societies to build rather than destroy. With their meager conceptual tools, the modern world they strained to visualize (their world view) was a laughable one – that is, had it not been for its tragic consequences. What indeed caused this dearth of intellectual input in the Eritrean revolution? A peasant’s idea of education is a limited one; he could visualize his son growing up to be a doctor, a teacher or even a pilot, something that he could easily identify as being tangibly “productive”. For him, a writer, an artist, a psychiatrist, an anthropologist, a philosopher or a critic is too abstract to land on his field of vision; and if they ever force themselves upon him, he might look at these professions suspiciously as providing nothing productive, as being superfluous to the needs of the people. Shaebia's archaic concept of education parallels to that of the peasant’s. Shaebia has been looking warily at some of these departments – the arts, social sciences and humanities – as if they are luxuries that the nation can ill afford, at best, and as somewhat inherently subversive, at worst. Isaias Afwerki’s infamous remark that a teghadalay with little or no education is better “educated” in the experiences of mieda than someone who has had a good formal education does not come out of blue; it comes from this entrenched culture of anti-intellectualism of the Eritrean revolution that derides formal education and any kind of professionalism. For him, the Mai Nefhi technical school fits perfectly to the peasant's picture of what a true education should look like; it includes many of the “productive” sectors while successfully downsizing all the “dubious” and “parasitic” ones. And, more importantly, he (and his Yikealo generation) believes that the temekro the whole Warsai generation is currently getting in the national service is superior to any formal education, given that it has been directly recreated from the blueprints of mieda. But there is an important difference between the peasants’ and Shaebia’s outlook that renders it lethal to the nation in the latter case (that is, besides the fact that the latter is in a position to enforce its world view on the rest). Whereas the peasant’s attitude would hardly count as anti-intellectual, it does so in the case of Shaebia. What is it that makes the same attitude anti-intellectual when it is harbored by Shaebia? Even though the peasants’ understanding of what real education is comes from their limited world-view, they always tend to defer to others when it comes to things they don’t know, and that happens to make all the difference. The peasants’ deference to higher authority, to highi endaba (to the rule of law), to elders, to religious authorities, to professionals, to precedence and to tradition simply comes from the humility that they would be unable to know all they need to know in life on their own and that on these matters and more there are others who are better equipped to know. One need only mention the extreme reverence the Eritrean peasants have had for the proverbial teacher sent to their humble villages to teach their children to understand this phenomenon. The case of the ghedli generation happened to be just the opposite. They had neither the humility nor the child-like curiosity the peasants exhibited whenever they came face to face with the modern world. The peasants had no problem with modernity as such; facing modernity didn’t lead them into a discordant living that was witnessed among the ghedli generation of the urban sort. The kind of identity crisis that the urban generation went through as result of coming face to face with modernity was nonexistent among the solidly grounded peasants. [See Eritrea: Fathers and Sons and the Grammar of Independence for further elaboration on this.] Thus, the ghedli generation’s anti-intellectualism derives from inheriting the worst of two worlds: while sharing the limited world-view of the peasant, they have the audacity to believe that they have all the knowledge they need to know from their urban roots and temekro mieda. It is then fair to say that this generation, for all practical purposes, is made up of arrogant peasants. The nation is not only run by these arrogant peasants but is also being peasantified it at a rapid rate in an effort to mold it in their image. How did this come about? Before we go all the way back to colonial era to trace the evolvement of anti-intellectualism in Eritrea the way it stands now, we need to have a working definition of what temekro mieda is. Temekro mieda cannot de defined in positive terms. First, it is defined more by what it excludes rather than by what it includes. And, second, whenever it tries to define itself with self-standing values, all it could come up with are the self-negating ones. Let me start with its most defining characteristic: a debilitating incuriosity for anything and everything that lies outside the experiences of the field. This comes from a strong conviction that there is nothing the adherents of temekro mieda, the teghadelti themselves, could learn from ghebar (that is, the rest of Eritrea) and the outside world. They believe that everything and anything they need for guidance to mold, govern and develop the country comes from that experience. This body of knowledge is supposed to be not only enough, but also superior to any other body of knowledge, to guide the nation in any field: morality, legality, spirituality, aesthetics, economics, politics, diplomacy, education, business, markets, infrastructure, etc. Strange as it may seem, this is Shaebea’s “self-sufficiency” mantra as applied to knowledge itself! So its second defining characteristic would be: a body of self reliant knowledge. But this is obviously an oxymoron, since knowledge doesn’t limit itself this way. A body of knowledge that believes it has all the know-how to call itself complete is not knowledge; rather, it would be dogma. The quest to know comes from an inbuilt admission not only that there is so much more that we don’t know, but that whatever we already know might be found incorrect tomorrow; so, by its very nature, knowledge is an open-ended endeavor – hence, the ever prevalent curiosity embedded in any form of knowing. Contrary to this, the body of knowledge accumulated through temekro mieda is believed to be not only immune from correction or revision but also sufficient in governing and molding the nation. The direct consequence of such dogmatism is disdain and hostility to any other body of knowledge that threatens that dogma. Hence, its third defining characteristic would be: contempt or disdain for any body of knowledge that comes outside temekro mieda. Since there is nothing of constructive value in temekro mieda, it understandably defines its function mostly through its exclusionary task. That exclusion list would indeed be long, among which are: professionalism, expertise, specialization, education, rule of law, religions, tradition, culture, precedence, history, etc. Shaebia’s hostility towards these bodies of knowledge is legendary. The fact that it has no respect for institutions, professionals, specialists, scholars, intellectuals, experts, elders, judges, religious authorities, etc comes from this deep conviction that not only there is nothing to learn from them, but also that they have become obstructions to the implementation of temekro mieda in the land. This is, of course, at the root of Shaebia’s legendary incompetence. Thus, its fourth defining characteristic would be: incompetence in all fields temekro mieda is applied to. Of course, anyone who believes that a one-fits-all temekro mieda will be sufficient in all kinds of fields would be out of his mind; for the common denominator among all as reflected in that experience would be the barest minimum imaginable. Only in Eritrea would a Minister who had been heading the Ministry of Health one day would be made head of Ministry of Fishery the next day, only to end up being head of Ministry of Information another day. If you multiply this phenomenon all the way up to the top (the President himself) or down to the bottom (the teghadelti that have taken over all the departments and institutions), the result would be failure in all those fields, as we have been witnessing in today’s Eritrea. No wonder, incompetence has become the hallmark of Shaebia in whatever it does. But given its inability to learn from its mistakes and its reluctance to learn from others, every failure is predictably blamed on others. That is, it always seeks correction outside itself. And this is invariably done through coercion or outright violence. Consequently, its fifth defining characteristic would be: an ever-prevalent violence that never leaves the Eritrean scene. Given that the implementation of temekro mieda on civilian Eritrea would consistently fail, there is no other recourse for Shaebia than to consistently intervene every time such a failure takes place. And, invariably, such an intervention comes in the form of coercion or outright violence. The reason why Shaebia is inherently against any forms of institutions is that, with their inbuilt procedural regularity and predictability, they would prevent it from its incessant interventions without which temekro mieda would fail to function. Temekro mieda thrives only within the rule of the arbitrary; for it is only within the rule of the arbitrary that the subject feels most vulnerable, a condition necessary for total control. If the above is true, the critical question we need to ask is: how did this come about? We need to trace it all the way back to the colonial era. How did this ghedli generation acquire their debilitating incuriosity and their extreme confidence in the little they knew? The two main sources are Asmara and Sahel; the first defined by its anti-cosmopolitan nature and the second by the insular environment that the revolution created. It is this deep family resemblance that made it possible for the properties of the one to be easily transferable to the other. There are two critical ways the colonial heritage contributed, one directly and the other indirectly, to the virulent anti-intellectualism of the revolution. First, during Italian occupation, little education was made available to the natives. Unlike the British and French that left well educated elite in their former colonies, however small their numbers might have been, the Italians allowed education up to 4th grade only. When Italy left, the Eritrean elite was composed of nothing more than well dressed peasants. Already, we can see the seeds of the arrogant peasant in the making. And, second, Italy left Eritrea with a façade of modernity, best exemplified in Asmara, with no trace of cosmopolitanism to back it up. The well dressed peasants have suddenly come up with the ownership of a modernist city, pushing their false sense of betterment to a greater height. The urban peasants’ arrogance became well entrenched. The Isaias generation was the first urban generation (born in the 40’s) entirely to grow up in Asmara. This was a generation that, unlike their fathers, showed no interest at all for anything outside the confines of Asmara. Eritrea is rich in geographic, cultural and historical diversity; yet, this generation remained totally oblivious of this rich heritage. They made no effort at all to venture outside the confines of their beloved city and explore the beautiful plains of Barka, the rugged hills of Sahel, the rich black earth of Seraye, the fertile land of Gash, the great depression of Danakil desert, the mountains of Bahri with their breathtaking vista, the more than one thousands kms of pristine sea coast, the gorgeous chain of Dahlak islands, etc. There was also not the slightest bit of historical curiosity that would prod them to venture outside of their city and explore (or even inquire about) the historical sights of Wushti Bastiy (the old town of Massawa) with its winding streets and marvelous Turkish buildings, the ancient archeological site of Me’tera with its Aksumite era obelisk, the 21 monasteries of the land, some as ancient as 4th century and some historically very significant, etc. Nor did they exhibit the slightest bit of curiosity about the people’s cultural tseghatat (social capital): centuries old highi enda’bas, intricate genealogies of the various ethnic groups, mythologies woven and interwoven through generations of story tellers, stories and fables our grandmothers yarned, music that permeated every form of life in traditional Eritrea, coping mechanisms tested through time, etc. Nor did they have the slightest bit of interest to know the people outside bella Asmara; not even the hagereseb from which they directly trace their ancestry, let alone the Rashaida, Kunama, Baria, Beni-Amir, Hadendwa, Bilen, Saho and Afar. For such a small land, Eritrea is an anthropological goldmine; yet, none of our educated elite were ever interested in mining this diversity, except for showcasing it in one festival after another. This urban generation’s historical curiosity too began and ended with the city; they had shown zero appetite for the thousands of years of history of this ancient land. Therefore, if there was a city deserving the name of a “walled city” in our region, it wouldn’t be Harar, but Asmara. The greatest and only talent of the incurious generation was to build a wall around their city. When that was made impossible by historical circumstances, they had to carry that wall with them all the way to Sahel. In short, the curiosity that the ghedli generation displayed to know anything outside their urban confines – outside their walled city – was abysmal. If the above is true, the greatest riddle about this generation would be: if this generation didn’t show the slightest bit of interest in anything that is authentically Eritrean outside its urban setting, be it of geographic, historical or cultural interests, how is it possible for them to flock to mieda in their tens of thousands to liberate a land they had never bothered to discover, a culture they had never wanted to be associated with, social capital they had never recognized as worth preserving, the hagereseb (the peasant) whose presence they had never acknowledged, the ethnic groups that had never crossed their mind to familiarize with, and a past they had been happily and obliviously ignorant of? The short answer would be: only if they were fighting for an entirely different “Eritrea”, one that was a projection of their urban setting; at it worst, this would be a projection of their “Asmara” on the rest of Eritrea. [The longer version of this answer requires an article, and I will do that at another time.] If so, the startling discovery would be: with their revolution, all that the ghedli generation wanted to defend and preserve was not authentic Eritrean legacy, of which they were blissfully ignorant, but the “colonial legacy” they inherited from the Italians, best exemplified in Asmara – and, for that, only its superficial aspects. Put in terms of identity, all they wanted to preserve was what supposedly marked them as different from others, be it their fathers, the haghereseb or the Habesha. And this was all what their “modern ideology” amounted to. This debilitating incuriosity to one’s own directly translates into incuriosity to the outside world, hence the anti-cosmopolitan nature of Asmara. The capital, despite its large population and its modernist architecture, burdened as it was with an inbreeding of blood and ideas, remained as provincial as any other small town. In every aspect of its culture, it never looked outside of itself for inspiration, be it the rest of Eritrea or the rest of the world. Thus, the urban generation’s “body of knowledge” was already impervious to any idea originating outside itself, long before it became well entrenched in its insulation in the fastness of Sahel. It is this ghedli generation that, very confident in the little world they knew, struck out on their own on a long trek to Sahel in search of their “Asmara” – that is, to preserve what made them different. The “wall” they carried with them gave birth to a similar world within the confines of Sahel, only this time the Asmara experience had to give way to mieda experience. Superficial as it was, it was easy to sheer off the bubbles of modernity this urban generation bragged to possess and replace it with equally superficial revolutionary rhetoric. Both were perishable items, with short shelf lives, waiting to be displaced by the next new thing; no lasting identity could ever be based on such a shallow and ever-crumbling edifice. If so, it wouldn’t be hard to see how the properties of the former were easily transferable to the latter: being inherently vacuous in content, both were defined not so much by what they included but rather by what they excluded. And they happened to have a lot of convergence in what they excluded because in excluding knowledge, no discrimination is possible. Thus, anything that disturbed their respective little worlds had to be vigorously shunned. But there was a major difference in between the two in regard to their execution. So far as this incurious generation remained confined to Asmara, it had no means of imposing its “world view” on others other than through peer pressure. And as in many urban centers in Africa, it would have found harmless outlets to express its feeling of superiority by demarcating its territory through dress codes, hair style, body gestures, urban lingo, “modern” etiquette, mifisah, ridiculing the uninitiated, etc. But once you hand the urban dandy a gun, he undergoes such a metamorphosis you would hardly recognize him for the harmless being he was. After such a lethal transformation, anything that disturbs his little world is not only to be ridiculed at but also to be vigorously attacked. When the ghedli generation made a full circle and found its way back to Asmara, it was with the full intention of imposing its newly-found impoverished world on the rest of Eritrea. For a generation that started its revolution by projecting Asmara on the rest of Eritrea, it seems to be a deserved dénouement when it ended its journey by imposing temekro mieda on the rest of Eritrea. When people with arms try to impose the little they know on the rest of the nation, it could only be done through brute force; and the consequences are the horrors we have been witnessing. The ELF started with a wrong footing, with a renowned shifta with a bloody history of tribal sectarianism as its head. When a group of Muslim elite congregated in Cairo to start the armed struggle, they were seeking a tribal footing in mieda, even though their aspirations were entirely driven by the pan-Arabism of the land from which they were launching their revolution. The contradictions that were to define the ELF for the rest of its duration in mieda were set. Even though nationalism was the last thing in their mind, the trans-national aspirations of its absentee founders – Islam and pan-Arabism – shouldn’t be confused for cosmopolitanism. Even when some of them came up with some sort of “socialism” at their liberal best or “ethnic federalism” of the mieda sort at their pluralistic best, both had to necessarily come from the Arab world in the form of Baathism and “Algerian experience” respectively; that is, they couldn’t conceive anything outside the Arab world. So whatever inspiration they drew from or whatever solidarity they made with had nothing to do with internationalism or cosmopolitanism; nothing at all about self-liberation. And more tellingly, their mieda history testifies that they never managed to come out of their tribal and religious squabbles. Jebha was born into a sectarian world, lived its entire life in a sectarian strife, and died as a result of it. Similarly, when the well dressed peasants of Asmara – the Isaias generation – struck on their own to create the EPLF, there was little intellectual base to guide them in their ill conceived revolution. Besides, their young age, with little life experience from their urban upbringing to guide them, worked against them. The “urban” or the “Asmara” or the “modern” they carried with them wherever they moved around the Eritrean landscape made it impossible for them to see the Others, be it the peasants and pastoralists from within the confines of the nation or the “oppressed masses” of the outside world; they had to carry the walls of their city wherever they ventured. Even their adherence to communism had nothing international about it; their understanding of communism was rudimentary and hence ill understood. Communism to Asmarino was as superficial as his modernity; neither has left its mark in his/her psyche. And the few that had a better grasp of Marxism (mostly from Haile Selassie University) were quickly eliminated. Despite its allegiance to leftist traditions, the Eritrean revolution has remained inarticulate from the start to end; it probably is the least intellectual of all the best known revolutions in Africa. While leftist leaders like Julies Nyrere, Kwame Nkrumah, Patrice Lumumba and Amilcar Cabral have been very articulate in their vision for their respective nation states, in particular, and for Africa, in general, the Eritrean leaders have been mumbling, at best, and mute, at worst. The revolution started from a mute shifta that had no inkling of the greater world outside of his tribal setting and ended with an intellectually challenged leader who cannot conduct a single interview without being a laughing stock of the world. And in between, there has been nothing articulate except endless guayla (festivals) and nationalistic rhetoric that come in half sentences (“Awet nhafash!” “Kibri niswuatna!” Etc). That Eritreans often refer to their singers rather than their writers whenever they want to quote something intelligible about the revolution says it all; it is as if the whole revolution took place in feudal era, and the watta is our best chronicler. Thus, the revolution had nothing self-liberating or cosmopolitan about it; the provincial minds that led it were incapable of seeing beyond their limited world of tribal, regional, religious and urban settings – as it still remains to this day. The dearth of vision has been nothing short of astounding. Until recently, there was not a single memorable quote, let alone a visionary book, that came out from 30 years of mieda experience. It is no surprise then that all the “memorable” books about ghedli came from those who were distanced from mieda Eritrea twice over: Dan Connell (“Against All Odds”), Roy Pateman (“Even the Stones Are Burning”), Thomas Keneally (“To Asmara”), James Firebrace and Stuart Holland (“Eritrea: Never Kneel Down”), etc. Not only did the writers had to be thousands away from the ground, but they also had to be from foreign extract. That kind of safe distance was necessarily needed to romanticize the revolution, and endow it with all kinds of virtues it never possessed. To the contrary, able national writers that experienced it all have been dead silent. 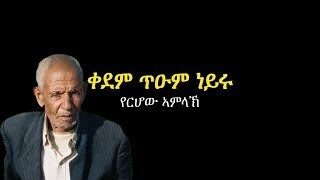 Alemseghed Tesfay, a gifted writer from Shaebia, has yet to write a single article, let alone a book, on the history of the revolution while he writes volumes on past history, always making sure to bypass the ghedli era. And I don’t blame him, for there is no way he could retain his objectivity in doing the latter and survive it. Thus, the whole ghedli literature can be summed up in one word: propaganda. If we dare go back and examine all the literature produced by Shaebia in mieda, it would look as dreary and as devoid of content as those written in Shabait.com and all the other mass media of the regime. It was only that, enamored as we were with the revolution, we read content into it that it never had. 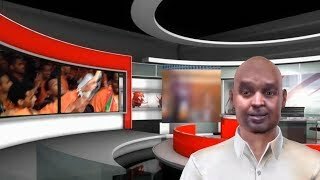 But there probably is no better way to show the anti-intellectualism of ghedli than the deep seated hatred and hostility that both ELF and EPLF showed towards the student population, in general, and dissenters, in particular – a precursor to today’s all out inquisition against students in Eritrea. The way both liberation movements treated the student body is the best measure of the anti-intellectualism in mieda. The two most prominent dissent movements within ELF and EPLF – Falul and Menqae – happened to be mainly student rebellions. Both of them were completely obliterated. With their obliteration, not only were thousands of students’ lives were lost, but an entirely intolerant climate was born that was to last for the rest of ghedli duration. From the very beginning, ELF’s feudal and Islamic roots were set against the students, for in those times the latter had two characteristics that made them alien to this world: better education and Kebessa identity. In its numerous purges against the highlanders – from Suriyet Addis to Falul – the dilemma that Jebha faced had always been the same: how to garner the support of Kebessa without its “intellectual” input. And whenever this balance seemed to be threatened, brutal force had to be used to set it right. And, at times – as in the case of Falul uprising – it required a purge of thousands. Shaebia’s virulent anti-intellectualism has a long history, one that goes all the way back to its formative years. It took formative shape in its violent response against the Menqae movement. The movement was almost entirely made up of students and led by prominent figures from Haile Selassie University. Isaias successfully galvanized the peasants and pastoralists against them. From that time onward, whenever Shaebia felt threatened by an internal enemy, the students have been its primary suspects. So much so that, in mieda, any university student who joined the movement was an immediate suspect upon arrival, and was put under special scrutiny from h’alewa sewra. Many of those students had to play dumb – play the role of a peasant – for years to deflect scrutiny. Any proclivity of intellectual curiosity or any effort at dialog or criticism was met with utmost severity. Showing the slightest bit of doubt on what was decreed from above was a sure ticket to the dungeons; and in many instances, to the gallows. Sahel thus evolved into a closed ecosystem where the ear became an endangered organ. In a landscape where listening to the other was nowhere to be found, the ear lost its ability to listen. A whole tribe was born without ears – the Shaebia tribe. It was this deaf tribe that was to haunt Eritrea for years to come, to give us nothing but 20 years of horror. As the students were to modern knowledge, the peasants were to traditional knowledge in zemene ghedli (the revolutionary era). Since the Fronts’ anti-intellectualism was directed at both modern and traditional knowledge, it would only be appropriate to briefly look at how the peasants and their institutions fared in the anti-intellectual witch hunt of the revolutionary era. The debilitating incuriosity of the incurious generation was to be unambiguously displayed in its relation to peasants, for the blindness that prevented them from seeing the peasant came in its totality – the “wall” they erected in between them and the peasants was insurmountable. The very urbanites who refused to acknowledge the peasants’ presence while residing in the city kept their distance from the “untouchables” throughout their ghedli sojourn. It is amazing to see how the peasants remained invisible to them even as they shared their world – from their humble cottages to the trenches. Under such lop-sided relation, even language loses its dialogic nature, and is used as a raw force to insult, to order, to intimidate, to indoctrinate, to mold, to terrorize, etc. And throughout the revolution, when it comes to dealing with the invisible peasants, language was put at this non-dialogic role. At no point in time during this sojourn were the peasants consulted. When the revolution started, it was entirely cooked up in the heads of the urbanites, and throughout its duration, the peasants were totally absent from the revolutionary dialog the elite group was conducting with itself. And monolog happens to be language at its most violent use. If the above makes sense, then it is no surprise that all the emasculating measures taken over the masses in independent Eritrea started with the peasants. One need only mention two cases – giffa (forced conscription) and the destruction of age-old village institutions – to see how systematic the total invisibility of the peasant had been. For more than a decade, tens of thousands of peasants were kidnapped from their villages and forced to serve in the trenches under the barrel of the gun. They were made to perish in their tens of thousands for a cause not of their making; that is, for a cause entirely created by and for the urban generation. Giffa has now become an issue only because it has come to affect the urban areas; so far as it remained confined to the rural areas, the nation had no problem with it. There is no better example than that to show the invisibility of the peasants throughout the revolutionary era. [For an extensive discussion on the case of the peasants’ giffa in the revolution era, please look at: Eritrea: Forced Peasant Conscripts that Sustained the Eritrean Revolution] More need to be said on the destruction of village institutions to see how thorough the invisibility of the peasants under the eyes of ghedli had been. We have seen that for the ghedli generation the only criterion they use to accept or reject a value is: whether that “value” comes from inside or outside their field experiences. This exclusionary task is best exemplified in the contempt Shaebia has shown for ghebar (“ghebar dembar”, as they love to put it) and whatever they stand for. After all, the term “ghebar” was reserved for the peasants throughout the revolution; it is only now that it has come to include the entire civilian Eritrea. And with this “upgrading”, it was decided that the urban population was to meet the same fate as the peasants. Some may look at traditional forms of knowledge as directly opposed to modern knowledge, but these needn’t be so. One needs to develop an anthropological eye to see knowledge wherever it resides. The eye that cannot discern wisdom in elders in a traditional society is unable to see wisdom in a philosopher, be it of ancient or modern times. If so, it is the very stupidity that drove Shaebia to destroy the only university in the country that drove it to destroy any form of traditional institutions (or vice versa). The dearth of anthropological eye among the ghedli generation has reached a pathological level. Shaebia’s contempt for everything associated with haghereseb can be seen in everything it has done to dismantle village institutions, starting from its years in mieda. There are three pillars of the village, symbolized by the Church/Mosque, Da’iro (the sycamore tree) and Elders, around which communal life gravitates. The former is where the spiritual quest and the latter where the legal quest of the people are met. And whenever a collective wisdom (history, legends, myths, stories, genealogy, shimghilna, advice, etc.) is sought, one goes to the village archive – the elders. And it is these three institutions that have sustained the village for centuries that have been relentlessly attacked by Shaebia. This comes from a strong conviction that they could learn nothing from haghereseb; that the village has nothing of value it could offer them in conducting their revolution or in building “modern” Eritrea. For religions to be useful “in building Eritrea”, they have to be restructured to accommodate Shaebia’s designs. Shaebia’s arbitrary decrees – on land, food products, markets, national service, etc – have also rendered highi enda’ba obsolete. Nor do they have any use for the wisdom of elders; after all, the history, myths, legends, stories, genealogies, traditions, morals, and laws of the land told and retold by elders tend to totally negate everything that ghedli has been telling the masses. Thus, conceptually, the Eritrean revolution can be identified more accurately if described as a war between the young and old generations rather than a war between Eritrea and Ethiopia. When the ghedli generation struck on their own to create a niche for themselves in the fastness of Sahel, dragging along their urban wall with them, it was with the intention of cutting off the umbilical cord that connected them to their fathers’ generation, and every institution imaginable that came with it: religion, culture, history, family, etc. This attitude was best exemplified in their contempt towards the shimagle (elders) that they have developed in their long years in mieda. In the old Habesha world, the shimagle had three essential roles to play. First, in a world where the written word was reserved almost exclusively for religious aspects only, the history of the people was orally carried from one generation to the other through the elders. They were the only historical archives we ever had. Second, mediation in all its forms was the role exclusively left to them. One can hardly imagine a young man, however bright he was, taking their place in settling various types of disputes. In fact, the very word “shimagle” says it all: it stands for both “elder” and “mediator”. Implicit in the word is that only an old man, who had gone through lifetime experience, would qualify for any kind of serious mediation. And third, shimagle was the embodiment of the rule of law (highi enda’ba); in its making, deliberation and execution, the indispensable part was always left for the elders. It was felt that not only their long life experience but also their deliberations over their imminent death (their spirituality) would make them more judicious, in ways that young men could not be. If there is a single word that would encapsulate these three roles into one, it would be: wisdom. Wisdom, unlike IQ or specialty, can only be gained through experience. There is absolutely no short cut to this proven way. No amount of reading or education, by itself, would do the job. That is why, in rural Eritrea, for centuries, wisdom has had only one face: that of the elder, one that has experienced the most by virtue of his age. If so, it is understandable why the ghedli generation is dead set against the elders: their wisdom stands against everything that temekro mieda stands for. For a generation that professes to know it all, without going through the necessary experience, the very idea of society reserving wisdom for some other than itself is unbearable. Often, the young generation accuses the old generation of mishandling the Eritrean case, and hence demands that it should take over. Although the accusation is justified, the rationale behind it is wrong. The Yikealo have become a disaster not because they belong to the old generation, but because they refused to grow up since the day they had left to mieda. So one should focus not on their age, but at the very experience that has left them stunted: temekro mieda. In the toxic environment of Sahel where they “grew up”, there was no psychic ecosystem that could nurture wisdom. There is no way that the experience accumulated growing up in such a culture of violence, and devoid of any justifiable cause, would translate into a collective wisdom that a generation could dip into to administer a nation, let alone to build an entirely new way of living. People seem to forget that the Isaias generation left to mieda when they were very young, most of them in their early twenties. So the problem is the other way round. Among other things, it is precisely because they had no experience in life that the whole “ghedli experience” turned out to be a trial-and-error experimentation, replete with all kinds of atrocities. And given the disdain they had for their fathers, they were unwilling to draw any lessons from the rich collective experience of the nation’s past. Thus, they were left with no collective wisdom upon which to build a mature movement, if that could have ever been done in the first place given the vacuity of the cause. If the above makes sense, then we can see why temekro mieda is directly opposed to temekro shimagle and the whole collective wisdom that the latter stands for. The liberators, armed with their experiences of the field, wanted to control all aspects of their subjects’ lives. The three pillars of ‘adi stood on their way, for they directly dealt with the main aspects of an individual’s life: his/her spiritual quest was being met with age-old religious institutions (the Church/Mosque, monasteries, etc); his/her quest for justice was being met by the legal institutions (Highi Enda’ba and other traditional laws); his/her aesthetic and other quests were being met by various strands of the tradition (the Shimagle, as an archive, being one of them). It is no surprise then that the totalitarian mind of Shaebia wanted to destroy all these village institutions if it was ever to succeed in controlling all aspects of its subjects’ lives. When the Khmer Rouge triumphantly entered Phnom Penh, they started their calendar with the Year Zero: “The idea behindYear Zero is that all culture and traditions within a society must be completely destroyed or discarded and a new revolutionary culture must replace it, starting from scratch. All history of a nation or people before Year Zero is largely irrelevant, as it will (as an ideal) be purged and replaced from the ground up.” (Year Zero (political notion) - Wikipedia, the free encyclopedia) Although not declared so, Shaebia has also its version of Year Zero. For a generation that wants to do away with the whole past, everything starts in Sahel. 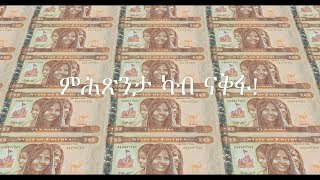 [For a humorous account on this subject matter, look at:The voluntary ignorance of the Eritrean people – PART I - BANA from Asmara in assenna.com.] And as in the case of Khmer Rouge, every legacy of the past has to be destroyed to give way to “ghedli civilization”. Environmentalists are fond of saying that we human beings are poor at creating forests; all we can do is plant trees. The ecosystem that makes a forest a forest takes its evolutionary course to “get it right” in creating an interdependency that we could hardly grasp in its totality, let alone emulate. If the physical ecosystem is that hard to recreate, the psychic ecosystem would be much harder. Similarly, as those who destroy physical ecosystems without understanding the full extent of what they are doing, those who try to engineer human societies from scratch have no inkling of the psychic ecosystem they keep destroying. Thus, when the ghedli monsters destroy religions to fit their evil designs; when they force the clergy to carry arms; when they conduct giffa in monasteries; when they destroy ‘adi institutions; when they demote and imprison the Patriarch; when they imprison septuagenarian and octogenarian elders for daring to mediate; when they dismiss the shimagle as irrelevant in modern Eritrea; when they close down the only higher learning system in the country; when the entire educational system is destroyed to give way to militarization; when they deny an entire generation normality in their lives by consigning them to the trenches for more than a decade, it is by truly believing that all these are excesses they can easily do without. All these and more have to be destroyed for their revolutionary calendar to start at Year Zero. They do not understand the dire cultural consequences that such mindless acts may engender. All the pillars of the civilian ecosystem are violently plucked without taking into account the dire consequences this will have on the greater society. Having originated from a toxic ecosystem, there is no way for them to realize the danger of their acts. Oblivious of the horrific implications of these transgressions, they keep on destroying the entire psychic ecosystem – the intricate web of cultural, historical and religious values and norms – that nurtured the people for centuries. The ghedli generation was blissfully ignorant of the rich ecosystem that nurtured traditional Eritrea for millennia; that is why they erected a wall around Asmara: to protect their city from the encroachments of this “uncivilized” ecosystem. But once they decided to push that wall to include the whole of Eritrea, they had no option left but to mindlessly destroy the ecosystem to protect the Greater Asmara they wanted to install throughout the nation. Armed with temekro mieda, that usurper of temekro Asmara, now there is not even a trace of the “barest minimum” they wanted to salvage. All that is left is senseless destruction everywhere, even inside their beloved Asmara. On this first part of the essay, we have been looking at the roots of temekro mieda and some of its consequences, mainly confined to the revolutionary era. But to see the extent of havoc temekro mieda has caused in the nation, one has to look at it when implemented outside of mieda. We have seen that in few cases. What we have to do now is look at concrete cases where it has been applied after independence, especially in urban areas. 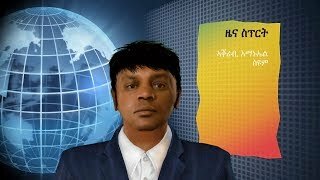 In the second part, we will look at concrete examples of how Shaebia’s virulent anti-intellectualism works: (a) the culture of ghedli as imposed on Asmara, as seen in its popular culture – movies, theater, books, music, etc; (b) the disdain for professionals and professionalism, as seen in all departments; (c) the demise of Asmara University, and the militarization of the educational system that goes with it; (d) Shaebia’s concept of “development” as practiced on the ground; (e) and the national service, an experimentation intended to recreate temekro mieda.